By the time of accession of Latvia to the European Union in 2004, Latvian banks and branches of Nordic conglomerates have established ourselves as a friendly haven for Russian money. They are easy to open accounts Russians, often even without making the original amount, accepted deposits, provided brokerage services, and some even gave them the mortgage loans in local currency. After the 2008 crisis, painful blow to the economy of Latvia, love of local banks to the Russian capital became even stronger. In 2012, according to Bloomberg, the banking system of Latvia, the share of deposits of non-residents close to 50%, amounting to $10 billion, in Switzerland, the proportion of foreigners was 42%. 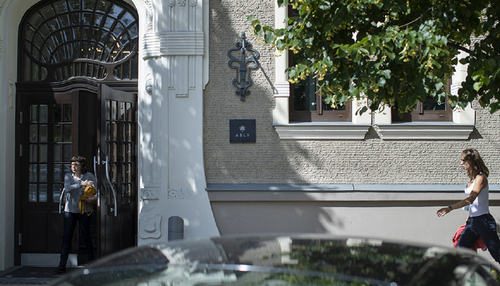 Here are just clients of the Latvian banks mainly were the Russians, who could not open accounts in Switzerland and other more prestigious jurisdictions, says a senior specialist of Finance Department of UFG Wealth Management Svetlana Lavrenyuk. Among wealthy Russians have been popular banks ABLV, Rietumu banka, Citadele Banka, Norvik Banka Expobank and. They were attracted by loyalty to the source of the funds low cost of services and an acceptable level of documentary requirements to substantiate the transaction, explains Lavrenyuk. The client is assigned a personal Manager, with whom you promptly to discuss all questions on the account maintenance. That all changed as soon as the US and EU have declared a crusade against money laundering and tax evasion. In June 2014, Latvia signed an agreement on the exchange of tax information with the United States in the framework of the law “On taxation of foreign accounts” (Foreign Account Tax Compliance Act, FATCA). Later had to join a similar agreement on the automatic exchange of information within the OECD. After that, the problems fell on Latvian banks, as from a cornucopia. The Commission of Finance and capital markets (FCMC) — the financial regulator, who is accountable to the Ministry of Finance of Latvia, was punished banks for violations of the law on prevention of money laundering and financing of terrorism, as well as for the weak check of clients. In March 2016 the FCMC fined Baltic International Bank at €1.1 million, and in July 2017 Norvik banka and Rietumu €1.3 million and €1.56 million, respectively. The last two of the Bank has also been accused of poor control transaction, which allows them to bypass U.S. sanctions against North Korea. Fines for a total amount of €640 000 in the summer of 2017 received three Bank. Against this background, the deposits of non-residents in the Latvian banks by the beginning of 2017 dropped to 43%, amounting to €9.2 billion, €800 million less than in 2012. Founded in 1993 ABLV throughout its history, avoided trouble. Claims Adjuster in terms of transactions with North Korea was not affected, and this could provoke the attack of the U.S. Treasury, says Bernice: “Maybe when the US government saw that their prescriptions are ignored on the ground, they decided to strike a fatal blow”. Destruction ABLV wanted people of the highest financial circles of the country, said Bernice. For example, the former head of the Bank of Latvia Ilmars Rimsevics, which is now under investigation in connection with suspicions of “trading in influence”. “I stopped communicating with the former head of the Central Bank in early 2015, as communion with him, from my point of view, became ethically unacceptable. I didn’t want to aggravate the situation and started to ignore it,” says the banker. Elimination of ABLV has not yet been completed. In March 2018 the Bank transferred to the Deposit guarantee Fund of €480 million for payments on insured deposits. Of the 22,000 customers of the Bank for more than half received a guaranteed amount of €100 000. Payments exceeding the guaranteed amount has not yet begun, because the liquidation team decided to check the origin of these funds. 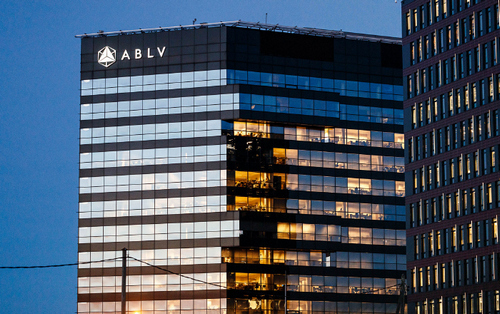 Under the brand of ABLV worked seven bond funds and four stock funds, which have been investing on international markets. Their total portfolio amounted to approximately €120 million in Funds was available to all customers of the Bank, but now these funds are blocked European settlement Depository Euroclear, its representatives complain that they can identify investors, says a banker close to ABLV. The defeat of ABLV fraught with big problems for Latvia: he local banks can get into the black list of FATF — the international group on combating money laundering, said in late December, the Ambassador of Latvia to USA Andris Teikmanis. “The fact that your credit card will not be accepted in Germany, will be the lesser of two evils. Reduced our exports, because there are complicated transactions to pay for the supply. It is very much going to affect our entire economy” — outlined the scale of the problems the Teikmanis. This threat has mobilized the Latvian authorities to combat Russian money. The local “patriots” in the government wondered why the banking system is so much Russian money and is it a risk to stability that could lead to a crisis like the Greek, says General Director of the company “the Third Rome” Andrey Lyakhov. In February 2018, the Ministry of Finance of Latvia has set a goal to reduce the volume of foreign deposits in banks to 20%. And at the beginning of October 2018, the volume of deposits of non-residents decreased from €8.1 billion to €3.2 billion, or from 40% to 20.5%. Of these, 10% are contributions from the EU, 5% — deposits of customers from CIS countries and 5% from other countries. However, in Latvia there are 15 banks and five branches of foreign players, 11 of them primarily with nonresidents, to the review of the Latvian regulator for Forbes. To reduce the presence of foreign money in the banking system, the Latvian authorities helped the law against fictitious companies, which entered into force on 9 may 2018. It prohibits banks from maintaining accounts of legal entities that have no signs of real activity. The law has led to widespread failure of banks of Latvia to work with non-residents. Faster all from foreign customers in the first nine months of 2018 rid Expobank (-82%), Danske Bank (-58%) and Rietumu Bank (-55%). The process of getting rid of foreigners is more about companies, not individuals, which decreased by only 2.5%. According to one of the Latvian bankers, the hardest was Rietumu Bank, the Bank blocked some accounts or offering customers to transfer funds to term deposits for three years in order to avoid liquidity problems. Some clients went to court. Transactions for foreign customers to Latvian banks decreased compared with the 2017 year two times, to less than €10 billion most strongly reduced the translation in us dollars, by 2018. One of the Latvian bankers said in a conversation with Forbes, the transactions in the American currency became expensive, and require long scrutiny. Some banks focused on the domestic market, some focused on the premium segment, some make a turn towards Finance. “In Latvia, of course, is a political unit “the less Russian money in the system, the better.” But an outright ban on working with Russian customers”, — says the head of Signet Bank Robert Idelson. Of all the Baltic capitals, Tallinn has built perhaps the most impressive business centre. Compact quarter gleaming skyscrapers, which, however, below the spire of St. Olaf’s Church in the old town, remembered the tower Scandinavian Bank SEB, like a huge sail. It makes clear where the money is blowing in the wind. According to the Estonian banking Association, about 90% of banking system assets controlled by Scandinavian banks. The market is mainly divided between the Swedish groups SEB and Swedbank and the Latvian Luminor Bank. The share of the largest national player LHV Bank accounts for only 7% of banking sector assets. The dominance of the Scandinavians on the Estonian market and the desire of Estonia to join the ranks of the Nordic States formed in the country more conservative financial industry than in neighboring Latvia. “Unlike the Latvian banks to Estonian banks do not work with non-residents-physical persons. They attracted mainly companies money. Estonian banks have always been more stringent compliance procedures and, in General, more transparent business,” says partner Paragon Advice Group Alexander Zakharov. According to the Bank of Estonia, non-resident deposits in the banking sector of the country in 2017 amounted to only 8.5% (although in 2012 there were about 21%). But in Estonia occurred one of the largest in the history of scandals in connection with the laundering of foreign money. In 2018, the Estonian branch of the Danish Bank Danske Bank was involved in several investigations on suspicion in legalization and withdrawal from Russia and CIS countries. The first alarm bell sounded in February when the Danish newspaper Berlingske, The Guardian and the centre for the study of corruption and organized crime (OCCRP) has told about the report, which gave the leadership of Danske Bank in Copenhagen informant from the Estonian office in 2013. The note said that the Bank has blocked the accounts 21 legal entities, involving suspicious transactions like money laundering. Danske Bank, by 2015, have stopped servicing non-residents in Estonia and also suspended several employees responsible for risk management and compliance. This was facilitated not so much revealed gray schemes, how many warnings from the financial supervision authority of the country. In the Supervisory Agency confirmed this information. “In 2014, it was obvious that in the Estonian branch of Danske Bank the risk control was not working properly. We have instructed the Bank to correct them, but he chose to cut risky business with non-residents and to make some changes in the management of the Bank in 2015”, — said in comments to the financial supervision authority. And 25 may 2018 financial intelligence police of Estonia published a report on the legalization of more than €13 billion through the Estonian banks in the years 2011-2016. According to police, a large portion of these funds was withdrawn from Russia, Moldova and Azerbaijan. Specific banks were not named, but the report’s findings overlap with the February publications of gray schemes in Danske Bank. The main surprise was the results of an internal investigation, Danske Bank. In 2012-2017, the organization has spent 9.5 million operations for 15,000 non-residents amounting to more than €200 billion, About 23% of all foreign funds came to the Bank of Russia. Danske Bank called in-doubt transactions 6200 customers in the laundering of Russian money suspected 177 non-residents. After that, General Director of Danske Bank Thomas Borgen has resigned, although his guilt in violation of anti-money laundering legislation has not been revealed. And in December was arrested 10 employees of the Estonian branch of Danske Bank operating in the Private Banking Department. Police have not named the names of the suspects, but noted that among them the former head of the Estonian branch of Bank of Ivar the Reha. Have joined the investigation, and the Federal financial monitoring service. The interlocutors Forbes in the Russian Department and the financial Inspectorate of Estonia said that the Supervisory authorities of both countries are preparing a joint statement on the participation of agencies from Russia in the schemes Danske Bank. To defeat the “Laundry room” had a hand in the ubiquitous U.S. Treasury, according to Forbes source close to the Estonian branch of Danske Bank, and he is involved in international capital management. According to them, summer in Estonia paid a visit to the office of foreign assets control (OFAC), together with the assistant Secretary of the Treasury for terrorism and Marshall Billingsley. The meeting was also attended by people from the leadership of Danske Bank. “A similar meeting Mr. Billingsley with representatives of the Cypriot banks in may of this year led to tighter verification procedures for non-residents. Now the Russians no less difficult to open an account there than in any other country of the European Union”, — said one of interlocutors of Forbes. According to a banker close to Danske Bank, the credit organization began an internal investigation, probably under pressure from OFAC. “Financial authorities suspect some American banks, including JPMorgan Chase and Bank Of America Merrill Lynch, to participate in some gray schemes Estonian Danske Bank. So Americans have a personal interest in this matter,” he explains. The situation in Danske Bank will lead to a further decline in the share of non-residents in Estonian banks. “The problem of the Estonian market, in a small pot. In a country with a population of just over 1 million people is difficult to earn on loans and attract deposits, the growth of the business is limited, — says the banker. — Foreign clients-legal entities in the banks at least a little, but they provided a good transactional income. And now the banks probably need to change the business model”. Of the three Baltic countries only Lithuania is not burned by serving foreign clients, the share of non-resident deposits in the banking system of the country is only 2.7%. The volume of cross-border payments for 2008-2015 was one of the lowest in the EU only 1.3% of GDP. In the early 2000-ies Lithuania and neighboring country, serving Russian clients. 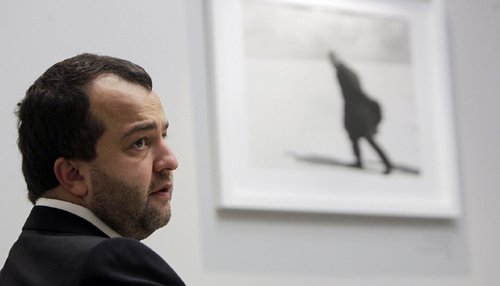 Worked with them Snoras Bank Vladimir Antonov, went bankrupt in 2011. But the habit of Russian money in Lithuania has not been formed. The President of Singapore Castle Family Office Eldiyar Muratov notes that a year and a half ago, his clients kept the money in the Lithuanian branch of Nordea, Danske Bank and DNB. The average Deposit size was about $3.5 million But now everyone who could already moved their assets to Singapore. “Relocation initiated by the customers themselves, who are tired of constantly receive “letters of happiness” with a new list of documents necessary for Bank to verify the legitimacy of the source of funds and to confirm many other operations,” — says the financier. Lithuanian bankers repeatedly emphasized that their approaches to doing business differ from those of Latvia and Estonia. After the events of 2018 they even tightened. “In September of 2018, I was in Lithuania, where they discussed with the Bank’s lawyers one FINTECH-project — says partner of the law firm “Westside” Sergey Vodolagin. In the course of negotiations, the Lithuanian lawyers said directly that the fact of Russian origin of the project entails additional risks.” Any “Russian trace” in Lithuanian banks will be perceived as a negative factor and will attract their attention. Banks want to make sure that Russian money, first, are of legal origin, and, secondly, does not belong to the companies and individuals targeted by the sanctions, says Vodolagin. And the question is about opening an account for the Russians may be dealt with in Lithuania, for months. Latvian and Estonian banks have already started to follow the example of Lithuania. “Our client in order to open a Latvian Bank account of €2 million for purchases of property, had to provide 23 of the document, complains Andriy Lyakhov of the “Third Rome”. — If you collect all the paper, it does not mean that you will become a customer of the Bank — you can refuse without explanation”. Chairman of the Board of EuroCollegia Igor Stukanov notice that the procedures in the Baltic banks have tightened in respect of all non-EU nationals, and not only Russians. “I think in 3-5 years this system will work anywhere: there is no reference to country — specific no Bank account it. Probably anticipating this, many customers are considering to get a second passport or use the investment program for the residence permit”, — predicts the Stukanov. One of the issues where the Russians have transferred money from unfriendly Latvia and Estonia. According to Stukanova, wealthy clients go to countries where financial regulation is still not reconstructed under new realities: in Serbia and Montenegro, Kazakhstan, Armenia, Belarus and Georgia. But there in the near future possible similar problems: for example, 10 December, the Central Bank of Montenegro has imposed a 45-day moratorium on all payments and Invest Bank Montenegro Atlas Banka. The partner of the legal company “Rustam Kurmaev and partners” Dmitry Gorbunov believes that nothing critical in the current situation there: the capital will always find a neutral jurisdiction. It is only a matter of “transport shoulder” and related overhead. “Now Asian countries-offshore ready to take a significant amount of weight and to create the most comfortable conditions. Popular among Russians, for example, Seychelles and Hong Kong. The warming of relations of Russia with China also contributes to this trend,” — said Gorbunov. With the participation of Katrina Elias.